Edie Spence is in desperate need of a vacation -- some R&R away from the craziness that shadows her as a nurse dealing with paranormal patients. 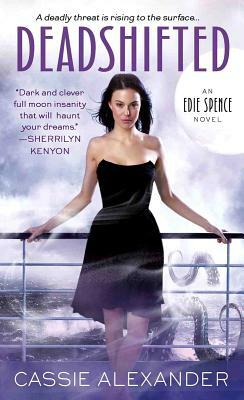 But as she and her shapeshifter boyfriend, Asher, set sail on a cruise for Hawaii, they'll realize that seasickness isn't the only thing threatening their romantic getaway…. While on board, Asher comes face-to-face with Nathaniel, an old nemesis from his dark past. Asher is convinced he's up to no good…especially when passengers start to come down with a mysterious illness unlike anything Edie and Asher have ever encountered. Soon Edie finds herself fighting for the life of the one person who means the most to her -- Asher. As chaos explodes, will Edie be able to save their future together…or will this close encounter with the paranormal side be her last?